Before digging up more into the best retinol serum reviews, let’s have a look at the advantages your skin can experience by using a retinol serum. At one time, you could only get Retinol serums through a prescription from your dermatologist or at an expensive spa, but in the last few years more and more skin care companies have been manufacturing more affordable over the counter retinol serums. How Can Retinol Serum Benefit Your Skin? 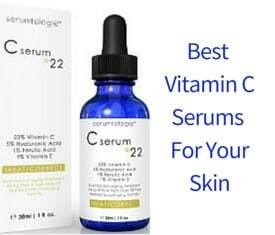 Retinol serums contain Vitamin A which offers a lot of benefits for your skin. Not only does this vitamin provide anti-aging benefits by reducing fine lines and wrinkles, but it also helps to control skin oil production and clean pores, which can result in fewer acne breakouts. In addition, retinol evens your skin tone, fades dark spots and helps to increase elastin production which leads to the tightening and firming of the skin. However, over the counter retinol serums may differ depending on the ingredients and the manufacturer company. So, here is a look at some of the best Retinol Serums on today’s market. 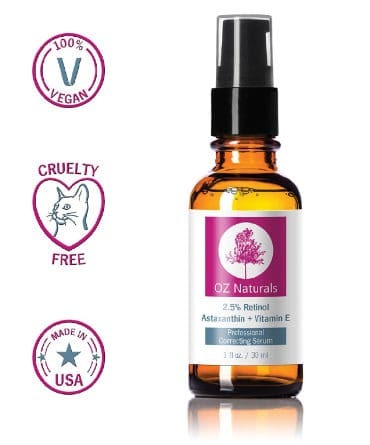 OZ naturals is a very popular among users natural and organic skin care brand with various products that gather extremely positive reviews and comments. The only retinol serum which contains ASTAXANTHIN. Highest over the counter retinol concentration of 2.5%. Unique blend of active ingredients. Free of parabens, sulfates and alcohol. Organic Herbal Infusion, Organic Aloe, botanical hyaluronic acid, Witch Hazel, Pentylene Glycol, Phospholipids, Retinol, Polysorbate 20, Potassium Phosphate, Hydroxyethyl Cellulose, Carrageenan Gum, Organic Jojoba Oil, Wheat Germ Oil, Vitamin E, Organic Green Tea, Wildcrafted Propolis, Sodium Benzoate, Potassium Sorbate, Ethyl Hexyl Glycerin. What Do the OZ Naturals Retinol Serum Reviews Say? The majority of users were very pleased with the changes they have experienced on their skin’s appearance. I can’t avoid to mention here one review which sounded a bit exaggerating when I first read it but at the same time so very funny! After the reviewer mentioned that she literally has nightmares about running out of this serum, she went on to say that if OZ Naturals stops crating this serum, there will be anarchy among women of her age and even younger. 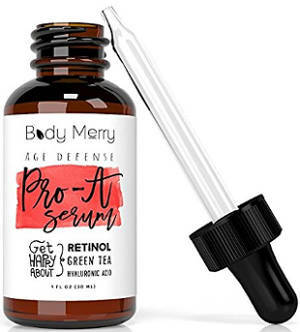 Reduce signs of aging: Fine lines, even those below eyes, become no longer noticeable and wrinkles seem to soften after using this retinol product. More firm skin texture: A more firm skin has also been reported. Soft complexion, more even skin tone: Users like the fact that their skin becomes softer and has a more even tone. Sunspots and hyper pigmentation disappear: Some people have mentioned that their sunspots completely disappeared after using the OZ Naturals serum for some time. More clear skin: A few reviewers with mild acne problems have been helped to get a more clear skin. Also, their acne marks got less visible. Glowing complexion: The face gets a nice glow. Convenient and high quality pump top: When it comes to packaging, people are very satisfied with this product’s functional pump. Body Merry makes a number of different skin care products which have been attracting people’s attention and preference quite a lot because of their effectiveness and their natural and organic ingredients. Maximum strength retinol of 2.5% to help reduce fine lines, wrinkles and dark pigmentation. Contains vegan hyaluronic acid and vitamin E.
No Parabens, Phthalates, sulphates, alcohol or fragarance. Organic Herbal Water, Organic Aloe, Plant Derived Hyaluronic Acid, Witch Hazel, Pentylene Glycol, Phospholipids, Retinol, Polysorbate 20, Potassium Phosphate, Hydroxyethyl Cellulose, Carrageenan Gum, Organic Jojoba Oil, Wheat Germ Oil, Tocopheryl Acetate (Vitamin E), Organic Green Tea, Wildcrafted Propolis, Sodium Benzoate, Potassium Sorbate, Ethyl Hexyl Glycerin. There are several ingredients, apart from retinol, in this natural anti aging serum that promise to boost your skin’s beauty. Aloe vera helps to retain moisture and works as a healing agent for sun and wind damaged skin. Hyaluronic Acid preserves the natural moisture, making your skin look plumper and with softened wrinkles and fine lines while witch hazel is often used as an stringent which cleans pores. There are also a number of natural oils like jojoba oil which is great at moisturizing and balancing oiliness as well as organic green tea and vitamin E that are strong anti-oxidants. Apply on clean dry skin. If you are using a toner, first use the toner and then the serum. Apply a small amount of it with your fingertips on both your face and neck. Wait for it to be fully absorbed and put on your moisturizer. The company suggests that it can be used once every day and under makeup. If you go out in the Sun, always use a sunscreen. What Do Body Merry Retinol Serum Reviews Say? Reduces Fine Lines and Wrinkles: Users reported that they did experience diminished fine lines and wrinkles. Softer and smoother Skin: The vast majority of people said that their skin felt smoother and softer almost immediately after applying the product in most of the cases. Absorbs Quickly: It is essential that any anti aging product be able to be absorbed well by your skin so that it can work its magic below the top layer of skin and new cells come up healthier and stronger. Body Merry serum, according to the people, feels light and absorbs nicely. Bright skin, great for under makeup use: Women are very happy with the fact that using this serum under their makeup leads to no afternoon sliding or melting off. It also makes their complexion look brighter. No irritation: It seems to work gently on the skin, causing no irritation or stinginess providing you use it in the right way. Decreased breakouts, no clogged pores: For people who are prone to breakouts, this product works effectively to diminish their existing ones and prevent new ones from forming. It also doesn’t clog the pores. More firm skin: Some users have experienced tightening up on their neck and under chin and in general a more firm skin. Reduced sunspots: There were a few reviews reporting minimized sunspots. 97% natural and 72% organic ingredients. Free of parabens, fillers, GMO’s, alcohol and fragrance. Comes in a 1 fluid ounce container. 3 month 100% money back refund. Since it was unfortunately impossible to find the full list of this product’s ingredients even on the company’s official site, I will give you here just a partial list of ingredients which include: vitamins A and E, hyaluronic acid, organic green tea, jojoba oil and aloe vera. 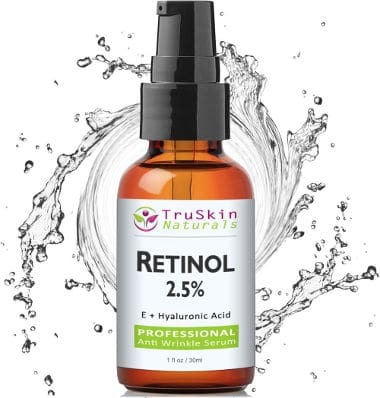 What Do the TruSkin Naturals Retinol Serum Reviews Say? Smoother, softer, clearer and more even skin: Most users found that their skin appeared clearer and feltnnoticeably supple, even, smoother and softer to the touch. Reduces Fine Lines and Dark Circles: The majority also noticed that their fine lines became less noticeable and a few of them mentioned that their dark circles were minimized. Glowing Skin: People felt that their skin was more healthy looking and several commented that their face actually glowed. Lightens dark spots: Retinol has the ability to lighten dark spots and this is reported by a few reviewers of this natural anti wrinkle serum. Skin pores shrink: Few were also surprised and obviously very pleased when they saw their pores shrink. Contains 11% Hyaluronic acid and vitamin E.
Organic Herbal Water, Organic Aloe, Plant Derived Hyaluronic Acid, Witch Hazel, Pentylene Glycol, Phospholipids, Retinol, Polysorbate 20, Potassium Phosphate, Hydroxyethyl Cellulose, Carrageenan Gum, Organic Jojoba Oil, Wheat Germ Oil, Vitamin E, Organic Green Tea, Wildcrafted Propolis, Sodium Benzoate, Potassium Sorbate, Ethyl Hexyl Glycerin. Users should like the fact that most of the ingredients in this wrinkle correcting serum are natural and organic. It also contains plant derived hyaluronic acid which helps your skin maintain moisture as well as organic green tea to provide anti-oxidants. Also, several organic oils that will condition and make your complexion smoother, supple and better nourished. Plumps Skin: People experience a plumper skin which is probably also due to the 11% of hyaluronic acid contained in it. Reduction of Wrinkles: A large portion of users saw a reduction in their fine lines and wrinkles in just a few days, reporting that their laugh lines around mouth and forehead creases have become less noticeable. More Even Tone: They also enjoy the fact that their skin has been looking more even and no break outs have appeared. Non-Irritating: Users with sensitive skin have said that they have experienced no irritation. Of course, this depends on how you are using the product because if you don’t use it correctly, it might trigger some irritation. Light Gel with a pleasant light essence: This is neither a runny nor a thick serum which absorbs well and has a pleasant light essence. The Tree of Life Beauty skincare company specializes in creating good quality anti aging serums and moisturizers containing some of the top active ingredients like Retinol, hyaluronic acid and vitamin C.
Contains 2.5% retinol, 20% Vitamin C, 5% vegan hyaluronic acid, 10% MSM, 2% Salicylic Acid and 3.5% Niacinamide. Special bonus: a free top rated e book with anti aging tips, tricks and detailed information. What do the Tree of Life Beauty Retinol Serum Reviews Say? 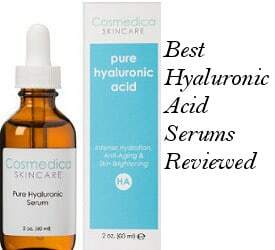 Reviews and ratings for this retinol serum are very good. Let’s see how users have experienced the effects of this retinol product on their skin. Brighter Looking Complexion: People stated that after only using it for a few times, their complexion looked brighter overall. Reduces Wrinkles: They also found that it helped them reduce the appearance of fine lines and wrinkles, leaving their skin looking younger. Fresh and Silky Looking and Feeling Skin: One benefit that seemed to surprise users was how fresh and silky their skin looked and felt after using this product for a couple of weeks. 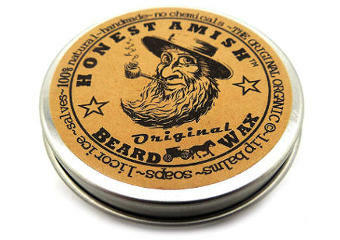 No greasy residue: It soaks in quickly and leaves no residue. 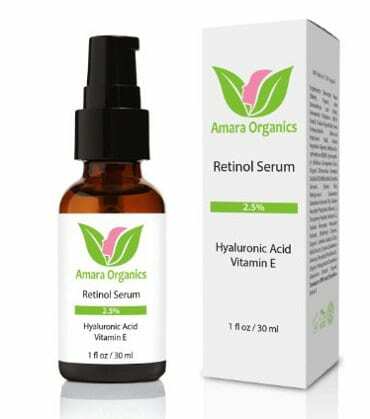 Amara Organics is a natural and organic skincare company which specializes in making serums and moisturizers with their key ingredients being Retinol, botanical hyaluronic acid and vitamin C.
Amara Organics Retinol Serum is a product that comes in a handy pump bottle which works for better protection of its content. Comes in dark 1 fluid ounce bottle. Contains 2.5% retinol, vegan hyaluronic acid and vitamin E.
Good for acne breakouts, acne scars and clogged pores. Deionized Water, Organic Aloe, Botanical Hyaluronic Acid, Witch Hazel, Pentylene Glycol, Phospholipids, Retinol, Polysorbate 20, Potassium Phosphate, Hydroxyethyl Cellulose, Carrageenan Gum, Organic Jojoba Oil, Wheat Germ Oil, Vitamin E, Organic Green Tea, Wildcrafted Resina Propoli (Propolis), Sodium Benzoate, Potassium Sorbate, Ethyl Hexyl Glycerin, Organic Gotu Kola Extract, Organic Horsetail Plant Extract, Organic Geranium Extract, Organic Dandelion Extract. This retinol serum has a lot of ingredients that are good for your skin’s health and beauty. One ingredient that we didn’t find in the other retinol serums list of ingredients presented in this review is the horsetail plant extract which increases circulation when applied to the skin. What Do Amara Organics Retinol Serum Reviews Say? Ratings and reviews for this serum couldn’t be any better. So, let’s see how effective people think it is and what they say. Smooths fine lines: Like what it would be expected from a retinol serum, this product has a positive effect on fine lines. Fades Dark Spots: Many users found it actually helped to fade dark sun spots. While it does take a bit of time, several of them were amazed at just how much their dark spots faded. Minimize Scarring: They also noticed that it reduced the appearance of the old acne scars. Helps Reduce Acne Breakouts: People were pleased that they were able to reduce and prevent their acne breakouts, making their skin more even. Brighter complexion: A brighter face was reported as well, with women saying that they use it under their makeup successfully. 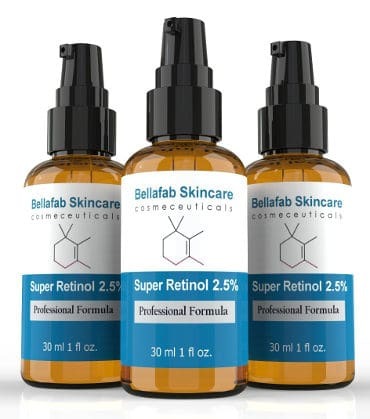 After digging extensively into the best retinol serum reviews, I was surprised to discover that all of the above top rated versions have almost the same ingredients and the same percentage of retinol that is allowed in the use of over the counter retinol serums. A few of them have some added ingredients that the others don’t have and most of them apart from one, which doesn’t mention anything, contains plant derived hyaluronic acid, vitamin E and organic green tea. All of them also contain natural and organic ingredients with a specific percentage reported in most of the cases. Still, some skincare companies that create these retinol serums are more popular than others because they have been on the market for longer creating in some cases a lot of products which people have been actually trying out and they are very pleased with. Here, we have tried to cover all those cases and to provide you with more or less well known companies and their retinol serums which people have built some trust upon over the years. If you are also interested in finding an effective retinol cream, our best retinol cream review can provide you with further information.